The Spotsylvania Battlefield tour is offered to groups. 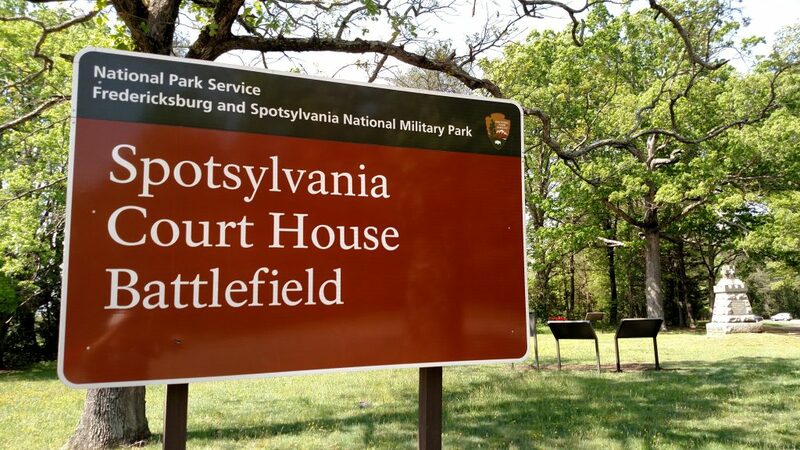 Tours begin at the Spotsylvania Museum, located at 9019 Old Battlefield Blvd, Spotsylvania Courthouse, VA 22553. Spotsylvania County, Virginia, is the "Crossroads of the Civil War"! The Spotsylvania Battlefield tour is offered to groups. Enjoy a trolley ride through the town of Spotsylvania and the Spotsylvania Battlefield National Park. Learn about the local history and why the small town of Spotsylvania was the site of some of the most intense fighting during the Civil War. For 90 minutes, you will see the village area and the battlefield. Hear the stories of local residents and soldiers from both armies. We will step off the trolley briefly at the Courthouse. Then the trolley will travel by churches and other structures in town that predate the war. From there, we head to the battlefield. The trolley will drive throughout the park to several points of interest. We will step off once again and walk the pathway a short distance to the area known as the "Bloody Angle." On the return trip into town, see where the Confederate Cemetery is located. After the trolley tour, visit the Spotsylvania Museum and enjoy lunch and shopping.